There was a line of ice at the high tide line. 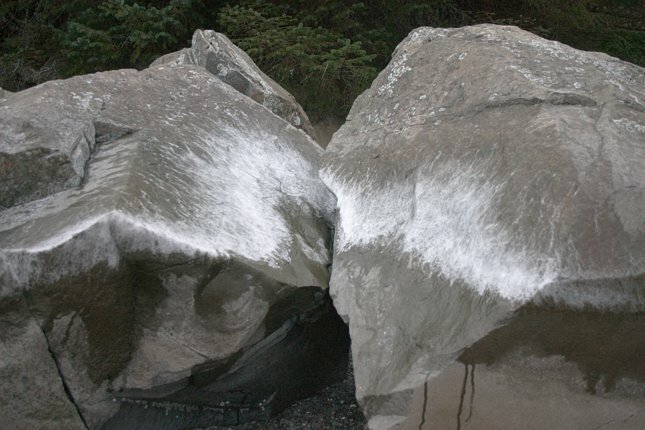 My guess is that cold windy weather resulted in the spray freezing as it splashed on the rocks. What I am less sure about is why it did not continue to freeze as the tide went out thereby leaving the whole beach coated in ice.